Welcome to Moxi Events Austin City Guide! We have been in Austin a lot lately so we thought we would share with you a few of our favorite things about this one-of-a-kind city. This Texas Oasis is the place to see and be seen right now! 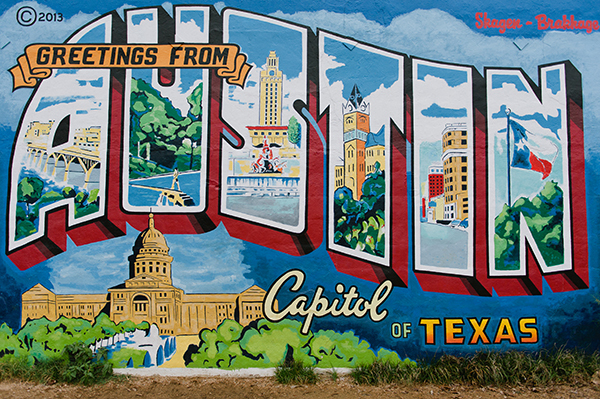 With it being so accessible to all of us here in the midwest, Austin has shortly become one of our new favorite destinations. This is a city full of amazing food, unique venues, and the nicest people. If you are needing a weekend getaway or a relaxing family vacation we highly suggest checking out Austin and our recommendations below! 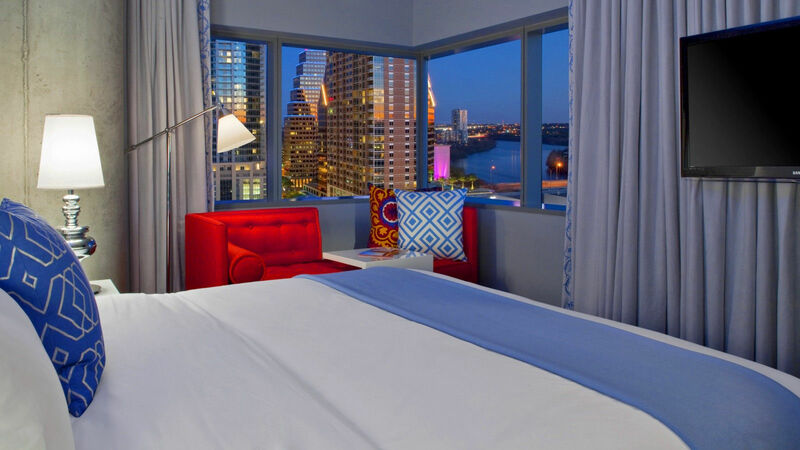 Located in the 2nd Street District and right next to Austin City Limit’s music festival venue, this trendy, upscale hotel is just steps from all of the action. This is the place to stay if you are looking for a funky, fresh experience! With spectacular views and easy access to the Texas State Capital and the 6th Street District, this hotel is situated right in the heart of the city. The Omni offers high-end accommodations along with one of the cities most fabulous rooftop pools! The leader among luxury hotels in Austin, the JW Marriott offers an upscale atmosphere that allows you to refresh and recharge. Located on Congress Ave, this hotel is situated so that you are within walking distance to the best restaurants and bars, as well as the best entertainment. Don’t forget to check out the amazing pool bar while staying here! It is a must. This chic, trendy hotel is right in the heart of South Congress Ave. With a rooftop pool, a personal shopper on hand, a in-house car, and activity rentals… this is the place to stay! While there are so many things that come to mind when thinking of this one-of-a-kind property, we are going to list a few that we think of first… Fabulous. Creative. Relaxing. Elegance. Lush. Secluded. I mean we could go on for days. We love this property and think Hotel Satin Cecilia is a must stay property when visiting Austin! The amount of ADORABLE houses/apartments in Austin that are listed on Air Bnb is endless. 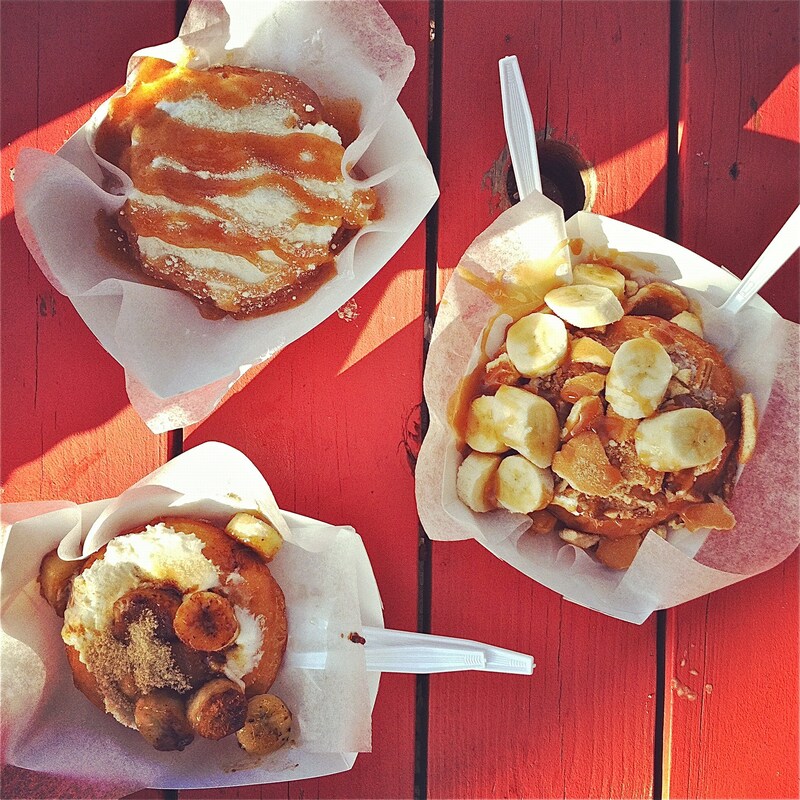 We highly suggest thinking about this as an option when visiting Austin! This upscale eatery is known to source its food locally, treat its menu like its art, and have a phenomenal Happy Hour! What more could you ask for? We LOVE chef Tim Love here at Moxi so we take full advantage of eating his food any chance we get! Lonesome Dove features classic and new tastes and will show you really what Austin has to offer. BRUNCH. Let us say it again… Brunch! We recently brunched here and we can’t get enough. Mix the adorable atmosphere, delicious drinks, and out of this world food and you have your whole day planned! We aren’t kidding! 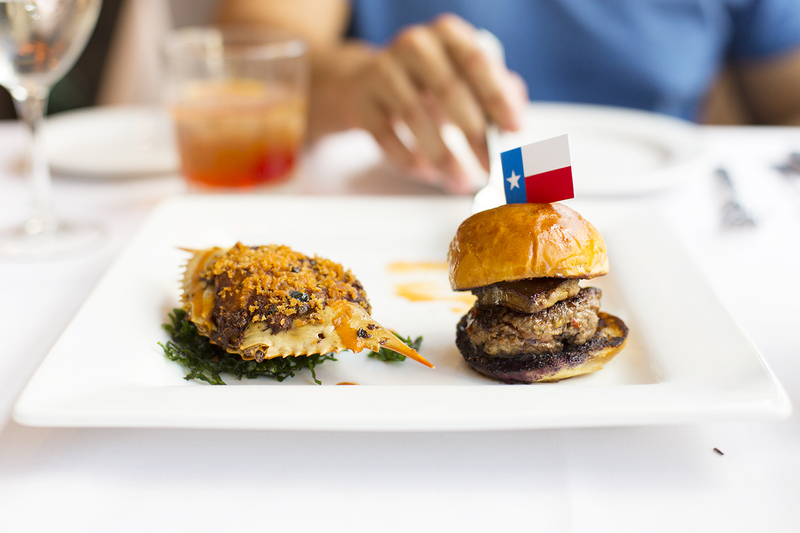 Lambert’s serves upscale BBQ and Texas style cooking in the heart of downtown Austin. It has an amazing menu that will leaving you wanting more! They also have an upstair bar and patio that has live music nightly. Every single menu item is donut related! You can even make your own! We think this place is too good to be true. Macaroons! So many Macaroons! We could stay here all day. Just like the name implies, these sweet treats might be tiny but they are full of flavor. Sugar Mama’s Bakeshop has a different menu each day… If you think we aren’t going to try and make it each day of the week then you don’t know us at all! This dessert restaurant is bananas! B-A-N-A-N-A-S! Really though, you will only find bananas here dipped and covered in all things sweet. Yum! 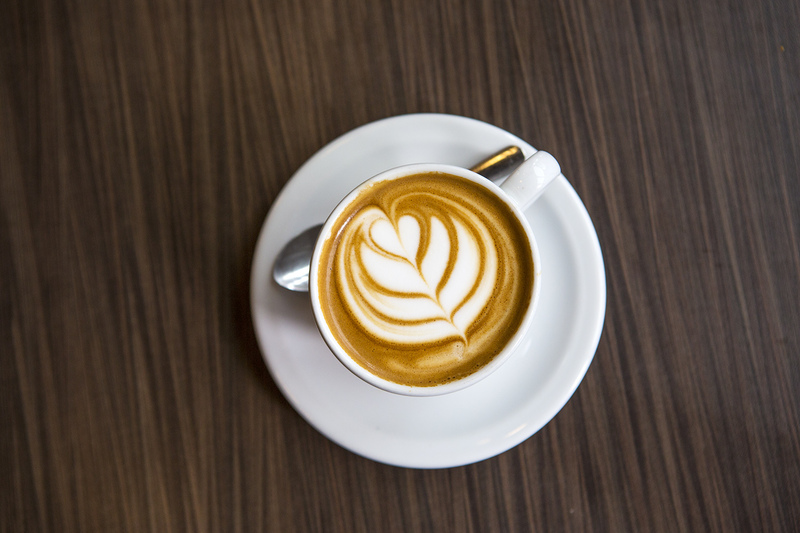 Known as Austin’s ‘Original Specialty Coffee Shop’, Caffe Medici will truly never disappoint. Think of any type of coffee and they have it! 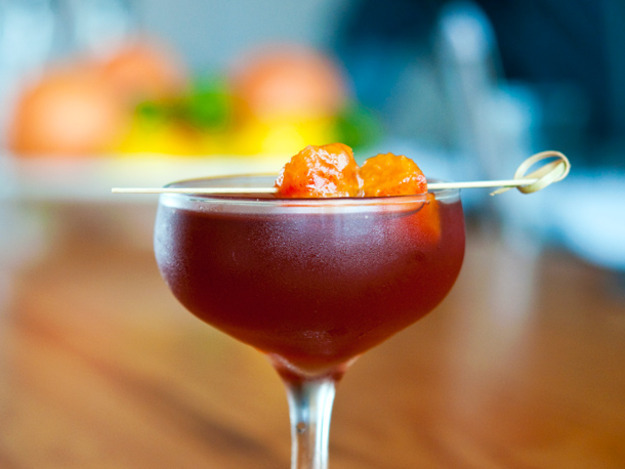 This reservation-only lounge is known for its speakeasy vibes and delicious cocktails! This bar, located in a parking garage, is known for it’s hip vibe and craft cocktails! It’s all the rage right now so we definitely suggest checking it out. This awarded cocktail bar is located downtown in the Warehouse District. With impeccable hospitality and knowledgeable bar staff, this is the place to go for a delicious drink! Shareable plates, delicious cocktails, and live music is what Geraldine’s pride themselves on. Sign us up! Rainey Street is our favorite bar scene in Austin and if you are planning on heading there for the night we definitely recommend stopping here! The activity options in Austin are endless! 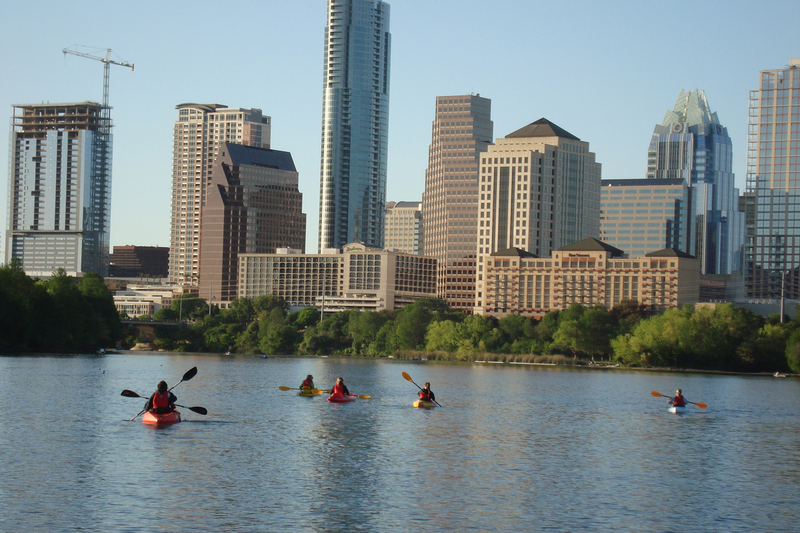 It was pretty hard to narrow down the list, but here are a few of our top favorite things to do when we are visiting Austin! Just like with the activities, there are ridiculous amounts of shopping in this wonderful city! Do you see why we like it so much? 😉 here is a list a few of Moxi’s favorite shops! We LOVE this city and hope that you have a chance to explore it for yourself and find a few of our suggestions helpful! Be on the lookout in a few weeks for our next city guide! We’ll give you a clue.. it’s another MidWest city that has a lot to offer!